Click here to RSVP and we’ll save a seat for you! Can’t make it to the studio? Click the logo above to watch live online at 7:00 pm on Feb. 5. Click here to get an email reminder with the link. Plans are underway for the founding convention of The California Progressive Alliance, to take place in San Luis Obispo on March 30 & 31 (link). CPA is envisioned as a statewide independent volunteer network of progressive individuals, groups, and organizations united by a shared belief that a better California is possible by reclaiming government from the corporate interests that have overshadowed the voice of the people. Together–regardless of party affiliation or no party affiliation–CPA seeks to (1) elevate progressive ideas throughout the state, (2) promote the creation of local political alliances and people-powered coalitions to enact progressive change in local government, (3) support corporate-free progressive candidates and progressive issue-based electoral campaigns, and (4) wield our collective power to lobby the state legislature on current and future legislation, as well as research and write new model legislation. Across the country, progressives are showing new strength with more youth, working people, women, and black and brown leadership having emerged. Californians face some unique electoral challenges – massive initiative campaigns that allow corporations to buy themselves out of regulation and even out of legal jeopardy, direct corporate contributions, huge districts, and an enormous state where money often speaks louder than the people. However, we also have unique opportunities. Progressives can make use of our top-two nonpartisan primary to come together and organize, outside of party politics, making decisions on strong corporate-free candidates we want to collectively get behind. Voting reforms such as same-day registration at elections offices and voting centers mean registration drives have more impact. Just like we see fossil fuel and for-profit medical interests driving the agenda for establishment figures in Congress, we cannot expect corporate-funded politicians to serve the people’s interest in California. This is an issue that transcends party. We must work apart from party affiliation and across issues to advance a true people’s agenda for our state – working in and out of the party system to create the broadest, strongest statewide progressive political force possible. For this month’s Other Voices forum we’ll learn about the growing momentum behind the California Progressive Alliance and how you can be a part of its successful launch. Click here to RSVP and we’ll save a seat for you! 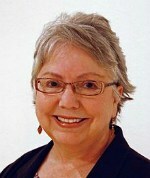 Gayle McLaughlin was first elected to the Richmond City Council in 2004 when she was a member of the Green Party of California. She won two consecutive four-year terms as the city’s mayor in 2006 and 2010. After reaching the mayoral term limit, she won re-election to the City Council in 2014. In June 2017, she announced her candidacy for Lieutenant Governor of California in the next year’s election. McLaughlin’s election in 2006 made Richmond the largest U.S. city to be led by a Green Party member. She has led a spirited pursuit of progressive policies including a minimum wage increase and a widely reported plan to forcibly appropriate foreclosed home mortgages from banks. Most famously, she has led an ongoing effort to restrict the municipal influence of Richmond’s largest employer, the Chevron Corporation, and to refashion its environmental obligations. McLaughlin was born into a working class family in Chicago. The middle child of five daughters, her father was a union carpenter and her mother was a factory worker and housewife. During the 1980s, McLaughlin was an activist with the Central American solidarity movement and a steering committee member of CISPES (Committee In Solidarity with the People of El Salvador). She also played an active role in the North Star Network, a national networking effort to unite progressives, and in coalition-building efforts with Rainbow/PUSH. She continues to work as a social activist in the peace, social justice, civil rights, and environmental movements. YOU are an important part of every Other Voices forum! The forum is a conversation … with you. So come prepared to ask questions or share your opinions. Other Voices Monthly Forum is held at the Midpen Media Center, where it is recorded for later broadcast on local cable television and streaming on the Internet. Other Voices was named Best Informational Talk Show for 2016 by the Alliance for Community Media. Previous forums (and other videos) can be seen at our YouTube Channel or the Video Page at our website. Local TV broadcast schedule (cable channel 30, available in Palo Alto, East Palo Alto, Stanford, Atherton and nearby unincorporated areas): Tuesdays @ 7:00 pm, Wednesdays @ 10:00 pm, Thursdays @ 7:00 pm, Fridays @ 2:30 am, Saturdays @ 8:00 am.